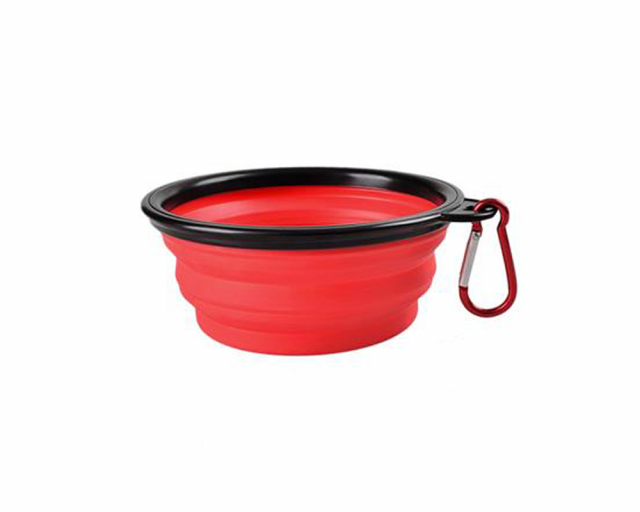 Collapsible travel water and dog food bowl with red carabiner. FDA Approved and made from 100% thick food-grade silicone, durable, lightweight, dishwasher safe and convenient. Clip it or collapse it for backpacks, pockets, purses and glove boxes.